Federation Square is both in and at Melbourne’s heart. After arriving in 2002 it redefined the city centre, becoming a place where Melbourne exchanges stories and begins adventures. The 8-acre public space holds festivals, pop-up markets, live-music, broadcasts, art installations and it’s the permanent home of cultural heavy-hitters ACMI and NGV Australia. There’s always something happening at Fed Square. By Melbourne standards it’s not the easiest place to get around in a wheelchair but it’s not the most difficult either. The incline and paving style are the main issues. We recommend avoiding both by entering via the north entrance through open glassed Atrium. It’s our preferred entry point with a good surface and a gentle ascent. From here you can head into NGV Australia or right into the ‘top’ of the square. If you’ve the strength and time the roll from the Flinders Street may not be impossible. There are small imprinted symbols in the paving to show the easiest route. 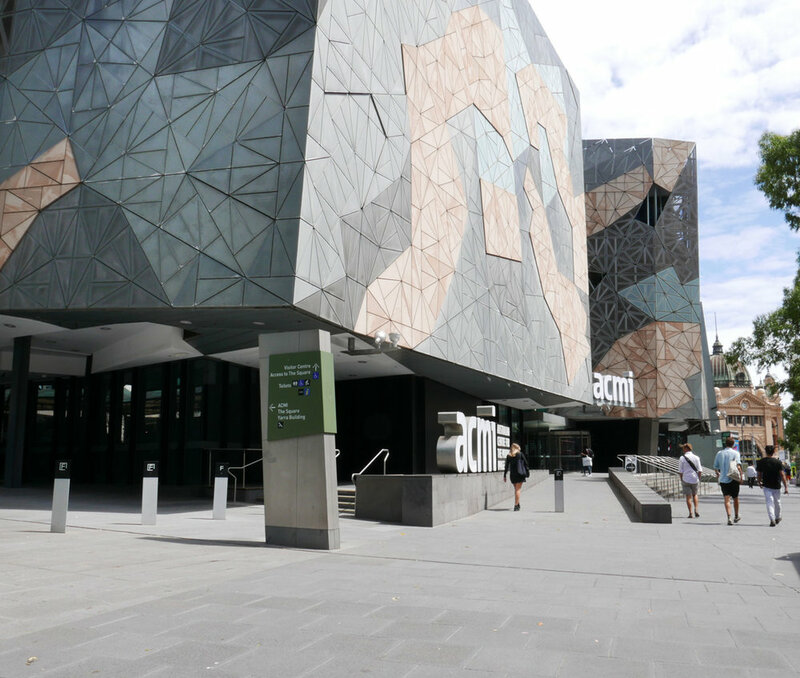 There is another route, alongside ACMI which allows a lift to bring you into AMCI’s foyer area. If the idea at Fed Square is to make people feel welcomed and comfortable – it succeeds. FWW recently watched a tourist settle into one of the deck chairs on the piazza – shoes came off, socks came off and hands were folded behind the head. On another visit, we ate at a table between a family of Swedish tourists and the head honcho of ACMI. Even the people that work here come here in their own time. It’s relaxing and that can be contagious. Experience cutting-edge interactive spaces at ACMI and look through the evolution of ancient and modern Australian painting at NGV Australia. 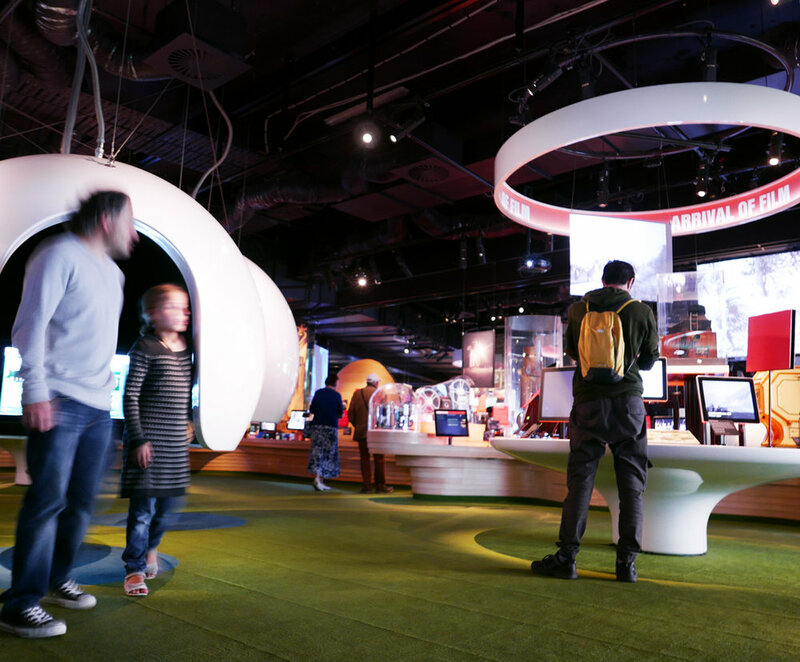 Learn about the history of the area at the Koorie Heritage Centre. Get a guided tour, eat at one of restaurants, shop for stylish homewares or books, experience twilight at a bar. Federation Square is lauded and awarded - few cities have an iconic square like this. It’s not a tourist trap either, Melbournians love this place as much as everyone else. There are 2 accessible public toilets on the site – one in the square near Time Out Café the other in the Atrium.